At MarShere Dance Studios you'll find a very caring & friendly approach in relation to adult group sessions. When adults "learn to dance", they need to be assured that they will find a comfortable atmosphere that is not pressured or intimidating. which you can find at all the MarShere Dance Studios. 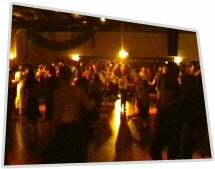 Our classes are a "Learn to Dance " night, with some progressive dances where we get you to change partners, and other dances where you dance with the partner of your choice. Latin American Cha Cha, Rumba, Samba & Jive etc. All this is done to current music. The AIM... Just get you to agree to attend the first class at a MarShere Dance Studio, and then it's up to you to take it from there.